Michael Jarzebowski, former director of Ehrmanns International, passed away on 7 October 2011. Known to many in the trade as Michael Hutton-Black, he developed a passion for wine while serving with the British Army in Germany and after being demobbed spent six months studying wine chemistry at Geisenheim College in Germany. In 1966 he joined Brown & Pank in London. Starting as an apprentice, he worked in many areas of the business, and after a year he was promoted to PA to the group marketing and advertising manager. Shortly after his promotion Brown & Pank merged with IDV and he moved on to the corporate HQ at York Gate in London. During this period he also found time to be an active volunteer member of the Honourable Artillery Company, the oldest regiment in the British Army. Jarzebowski went on to pass his WSET Diploma and also gained some experience selling to the grocery trade. In 1971 he became a product group manager, responsible for Smirnoff Vodka and Gilbeys Gin. According to Andrew Gordon, managing director of Private Cellar, and Bill Page, chairman of the WSET, it was during this time at IDV that he made many of his close friends. “The trade was a very social business to be in and Michael, like many of us, made the most of it,” they told the drinks business. He left IDV in 1972 and worked as a marketing executive with Courtenay Wines and then moved on to Sherry House where he was responsible for brands including Dow’s Port, Piper-Heidsieck Champagne, Bénédictine, Calvet and Jack Daniel’s. His big breakthrough came when he joined Spar in 1975 to become their Wines & Spirits executive. He was responsible for developing their range of own label and proprietary wines and spirits. Over a four year period he more than doubled the department’s sales. 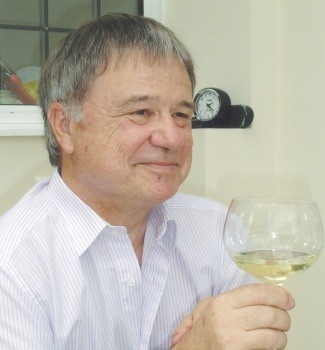 He left Spar in 1979 and joined Joe Crick and Bill Page at Booker Wine Agencies (Italvini) to set up its specialist German wine subsidiary – BWA Deutschwein. In 1983 Michael joined up with Gordon, helping to develop an ex-cellars and agency French wines business. In 1985 the pair formed Cellars Direct together, a company specialising in selling wines on an ex-cellar basis to the multiples and regional wholesalers. Jarzebowski bought out Gordon in the late 1980s and later sold the company to Peter Thompson of Perth. He worked with the company as sales director for several years until it was bought out by Waverley Vintners. Jarzebowski then became the Waverley off-trade sales director. In 1994 he joined Ehrmanns in London to link up with Peter Dauthieu and Bill Page. He had senior sales responsibilities – particularly for the German wines of Langguth Erben and their Blue Nun brand agency which Ehrmanns had taken on from IDV. During his latter years he worked on the export market for them as director of Ehrmanns International. In 2009 Michael left Ehrmanns and formed his own agency company, Root Stock & Barrel. In recent months he had been focusing on Crystal Head Vodka, the premium spirit brand owned by Dan Aykroyd, the Canadian actor, comedian, writer and musician. Gordon and Page, in a joint obituary, said: “As his close friends and colleagues know Michael fought a long, hard and brave battle against cancer and died peacefully at his home in Prestwood, Buckinghamshire, surrounded by his closest family. He leaves his wife, Dee Blackstock MW, daughter Alexa and twin sister Voosie. A memorial service to celebrate Michael’s life will be held in 2012.